Good structure and concept but overall not fun. Game was fun in the earlier arenas but every time I match up with a higher level I have no chance and it’s becoming not fun anymore. All I do is get matched with player was out of my league. In some cases, 3 levels above me. 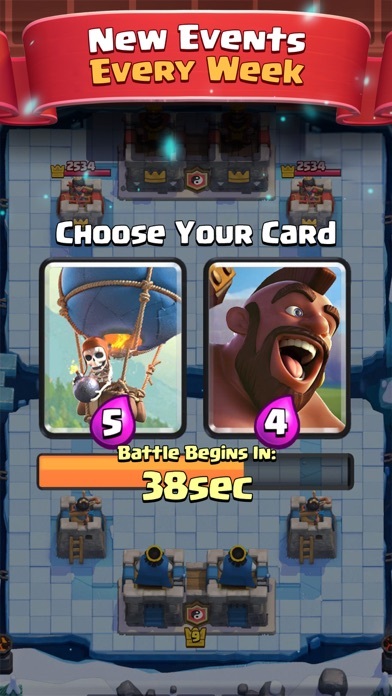 Clash Royale, PLEASE FIX YOUR MATCHMAKING ITS HORRIBLE. Why can’t everyone just go against their own level. I can’t remember the last time I played someone who was the same level as me probably because it’s NEVER happened. That isn’t fair! That’s an automatic disadvantage and it’s annoying. How are you supposed to win if you can’t find a fair opponent? I just wish there weren’t so many kids who hit 2v2 then just sit there as a “team mate”. 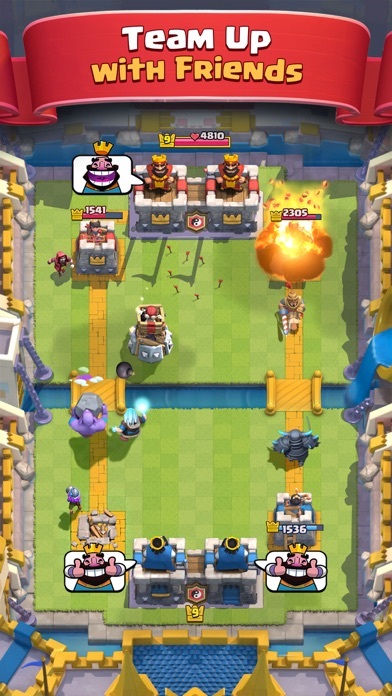 Please fix the stupid 2v2’s. Your game is over 3 years old. You’re going to die out just like Apex Legends. Here the match making ok this it’s unfair!!!! I just made a new account and started from zero since I'm unable to log in to my old account but for some reason it shows me the high levels i had on my old account and i was wandering if someone could fix it because is a bit confusing (i don't mind starting from zero by the way even though i had a pretty decent account). The game is ok. 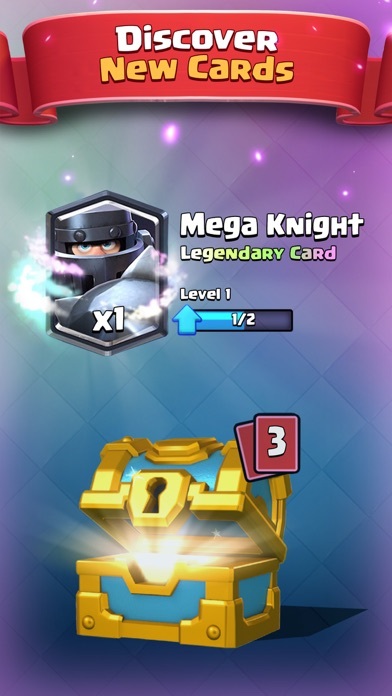 I have been playing since it was released. Every update changes the game and usually for the worse. After a couple years of manipulating the game for profit the game has gone down hill pretty fast. There’s no skilled players left. The design the game as pay to win but only in the higher levels. The bottom tiers (anything lower than 4000 trophies) probably are still enjoyable. Especially after the latest update. I have been stuck between 4200-5000 for some time now. 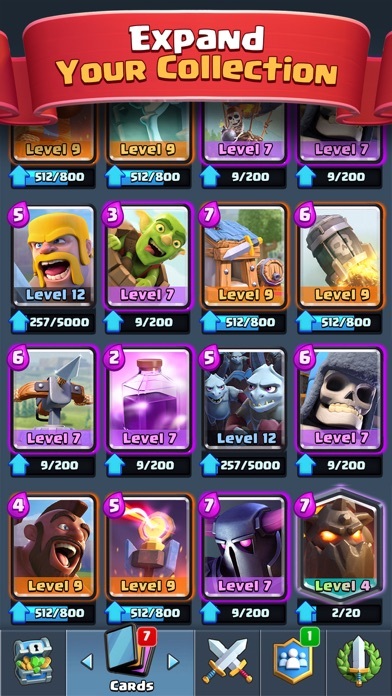 I only have level 10-12 cards and I only get matched up against maxed out shiny gold decks. There’s literally no players with my level cards in my trophy range. 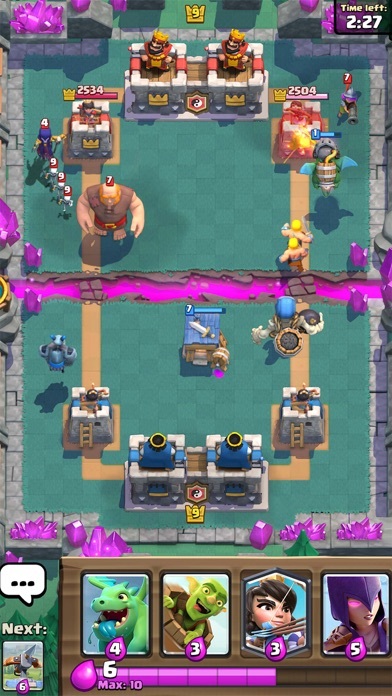 There used to be good competition but supercell messed it all up. Skilled players all left the game but I’ve been hanging on and hoping for a fix to the matchups. They keep making changes and I still only face opponents who should walk all over me. They sometimes are able to eek out 2 towers but it’s usually only one. Many times they barely beat me. This is a pretty clear indication that I am a strategy ninja with no equal. It would be nice if the game incorporated some balance to keep skilled players playing. Instead they created a situation where everyone just buys maxed out decks but aren’t worth their weight in salt. So most games are battles consisting of sloppy maxed out players throwing out wishes and prayers. What’s even worse is they taunt me as if they’re actually proud they won. They don’t possess the mental capacity to realize they should probably be ashamed that they barely beat someone with decks 2-3 levels lower. The game has the potential to be awesome. Unfortunately, as predictable as the rising sun, greed has ruined a good thing.